If you’ve already read my guide to wallets, you’ll know that I highly recommend using a hardware wallet to store your cryptocurrency. This is because for the average person, keeping a web wallet or a paper wallet secure is arduous and more trouble than it is worth. Unless you’re the type of person who loves cryptography as a hobby or is a die-hard crypto enthusiast, dealing with wallet security is just annoying and boring (downloading a wallet client, taking your computer offline, scanning it for malware, generating your keys securely, printing them out, laminating them, storing them in a safe place, then sweeping your wallet every time you make a transaction etc etc etc). You probably agree this is all cumbersome and more hassle than you’d like to deal with. A hardware wallet takes care of all the hard work for you, so all you need to remember is a 4-8 digit pin number, similar to using an ATM card. For most people, that is by far the better and safer option. In my wallet guide I also recommend using the Ledger Nano S as your hardware wallet, simply because it is the most popular one and supports the most coins. It is the hardware wallet I currently use and the one I recommend. 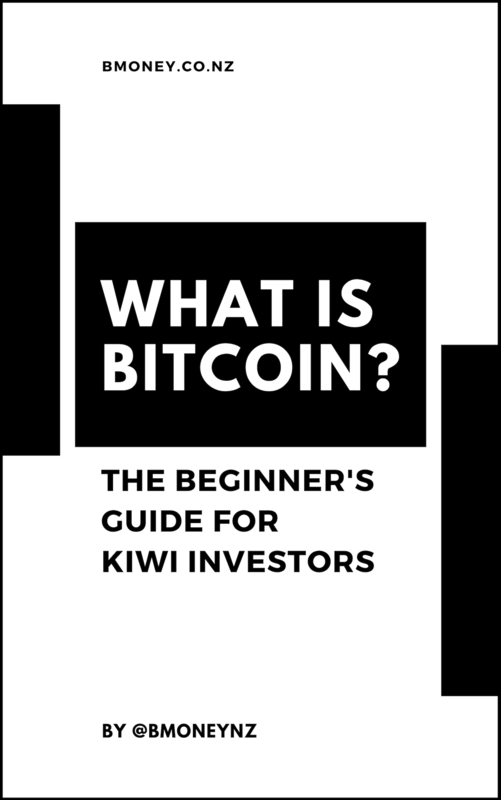 In this guide I’ll take you through exactly how to use it to store and spend your Bitcoin, and I’ll also look at some examples of other coins too. To order a Ledger Nano, you will need to order one directly from their website. Once you receive it, it’s time to set it up. To get started, download the Ledger Live program from the Ledger website. Open the program. Click Get Started. Then plug in your ledger device, and click Initialize a new device. Simply follow all the instructions displayed on the screen. You’ll get asked to write down your seed words and store them in a safe place. You’ll also get asked to set up a pin number. Once you’ve been through the wizard, your device is ready to use. 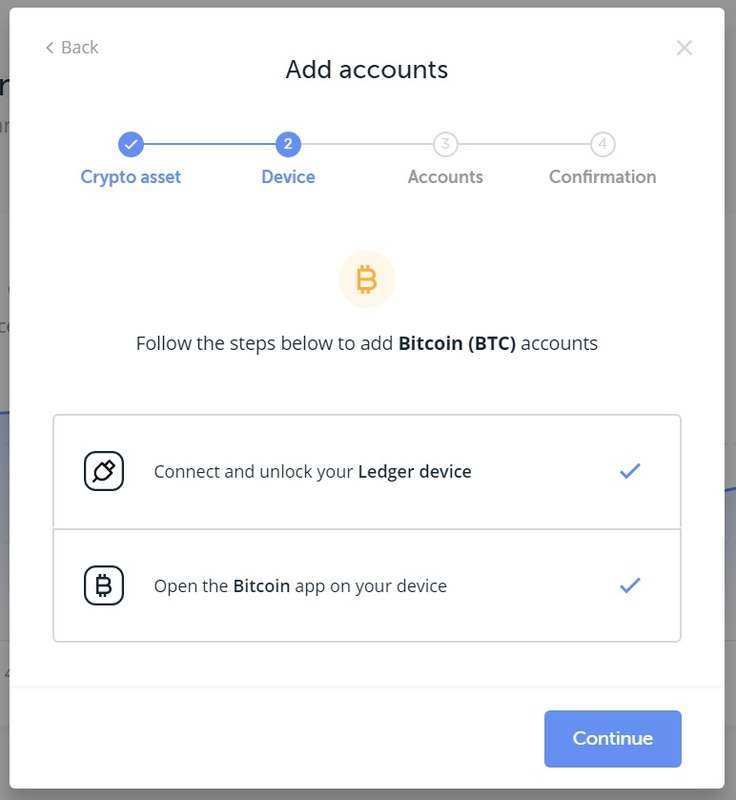 You can see step-by-step instructions to setting up on your Ledger on the Ledger website here. Now that you’ve got your Ledger working, you’re going to want to set up a Bitcoin wallet to store your Bitcoin. 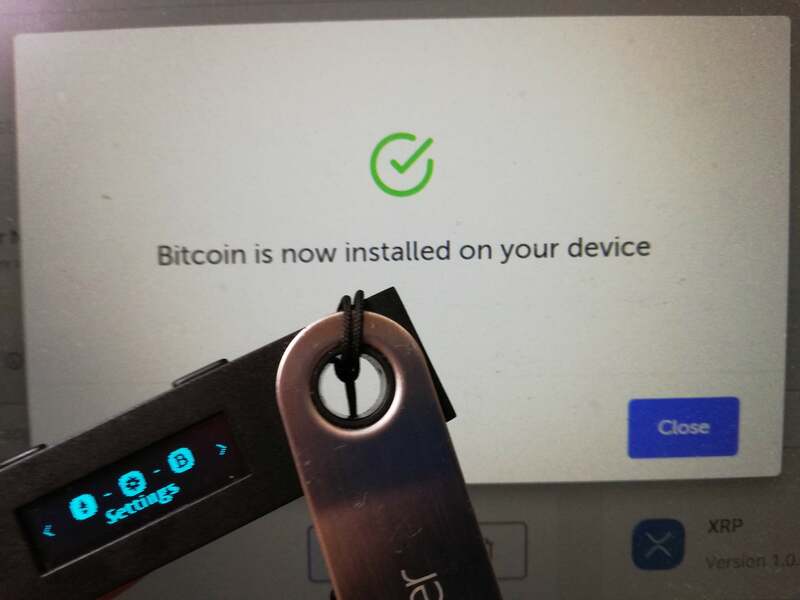 The first thing you need to do is install the Bitcoin app on your Ledger device. To do this, click Manager on the left hand side of Ledger Live. This will bring you to the Manager screen. Find the Bitcoin app in the list and click Install. 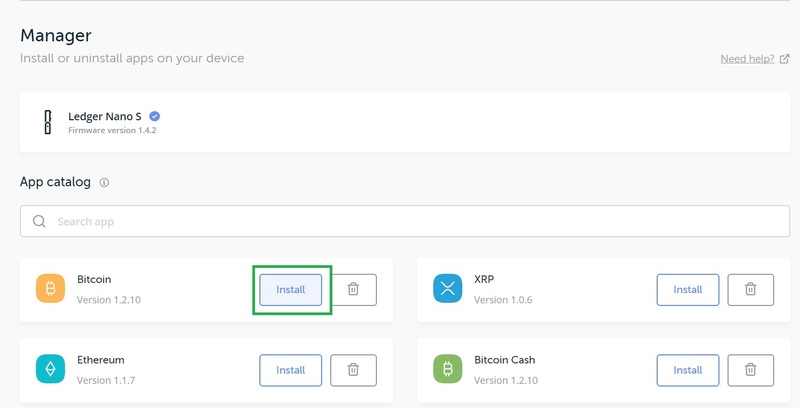 Ledger Live will then try to connect to your Ledger Nano device to install the app. Click the button above the tick and then the Bitcoin app will install on your device. Now that you have the Bitcoin app on your Ledger, you can set up a Bitcoin wallet. 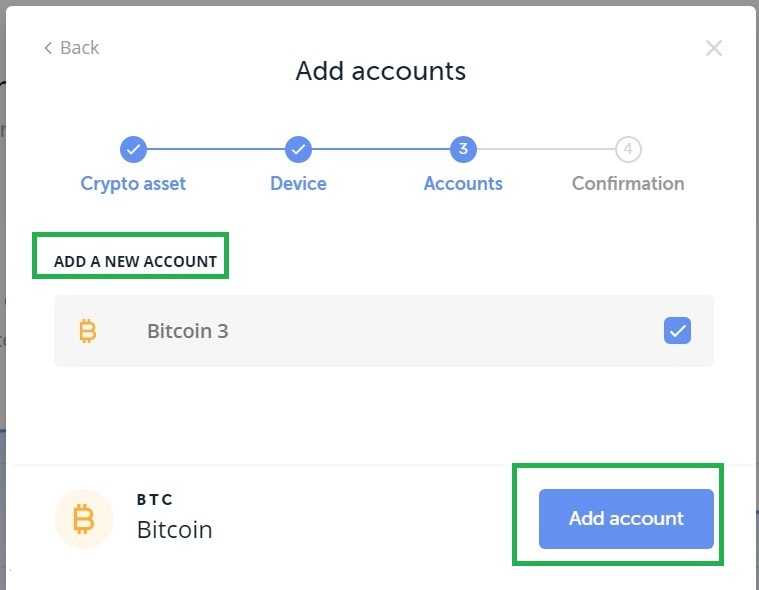 To do that, click on Add Account in Ledger Live menu on the left. 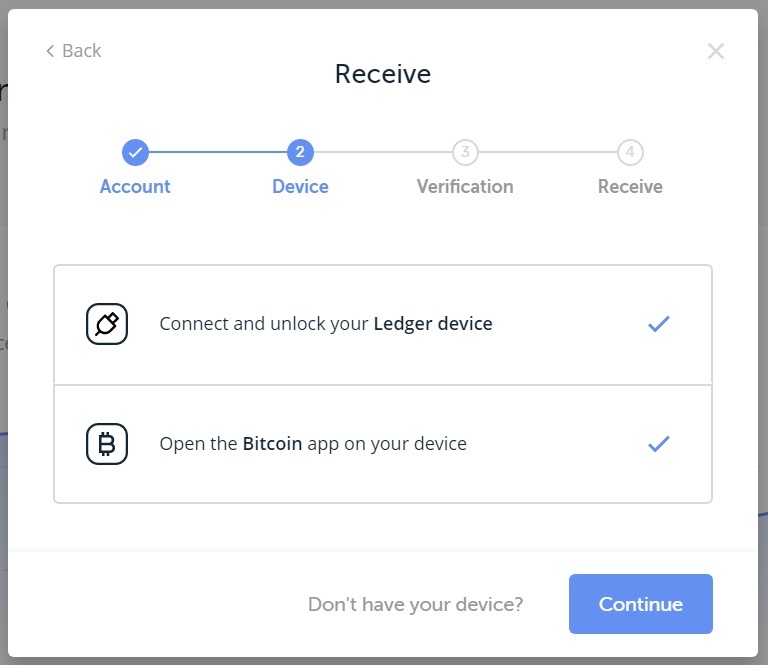 Ledger Live will then ask you to open the Bitcoin app on your device. 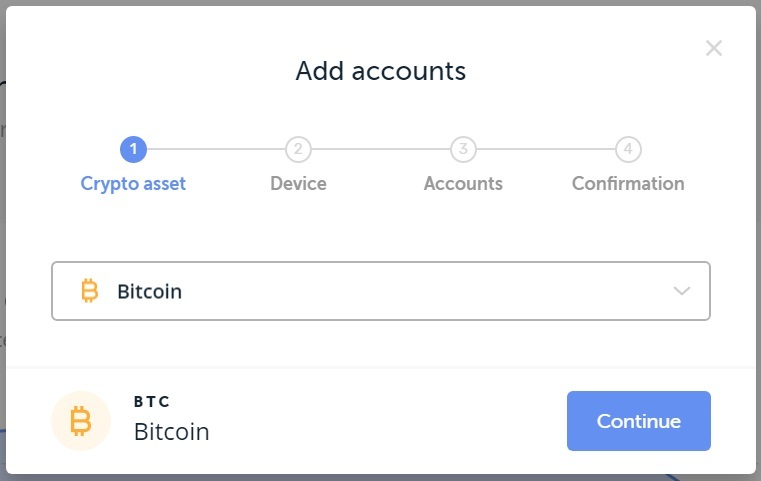 Scroll through your Ledger Nano using the two buttons, and when you find the Bitcoin app, press both buttons at once. The next screen is where you open your Bitcoin wallet. Select the Add A New Account option. You can name your wallet whatever you want. When you’re ready click Add Account. Your Bitcoin wallet is now open! 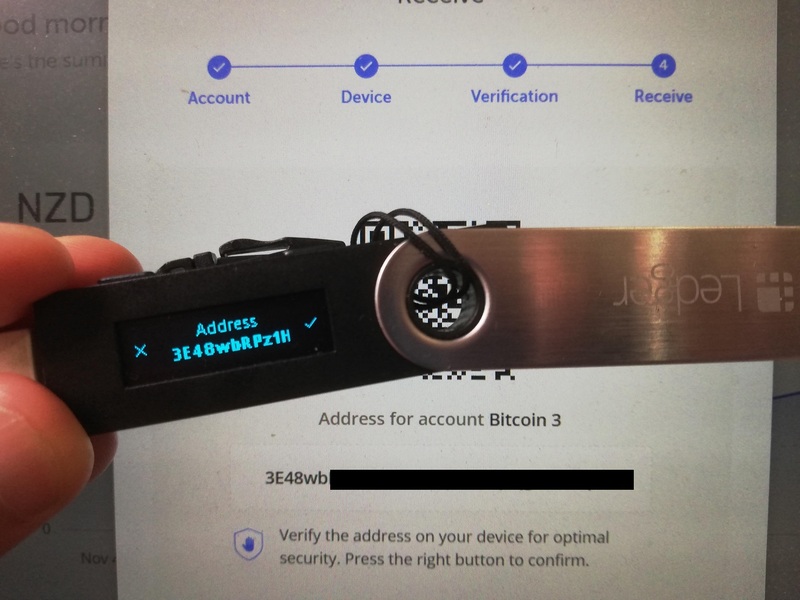 Because you are using a hardware wallet, you don’t need to worry about storing or printing private keys. Everything is stored on the Ledger Nano itself and is encrypted. Even if your Ledger Nano is stolen, only people with your pin number can access it. This is why I always recommend people use a hardware wallet for any sizeable portfolio. The security part of things is mostly taken care of for you. Now that you have a secure Bitcoin wallet, you’re going to want to deposit some Bitcoin. To do this, you need to get your Bitcoin address. To find this, click Receive from the Ledger Live menu on the left. You should come to a Receive screen. Select your newly created Bitcoin wallet from the menu. In this case, my wallet is called Bitcoin 3. 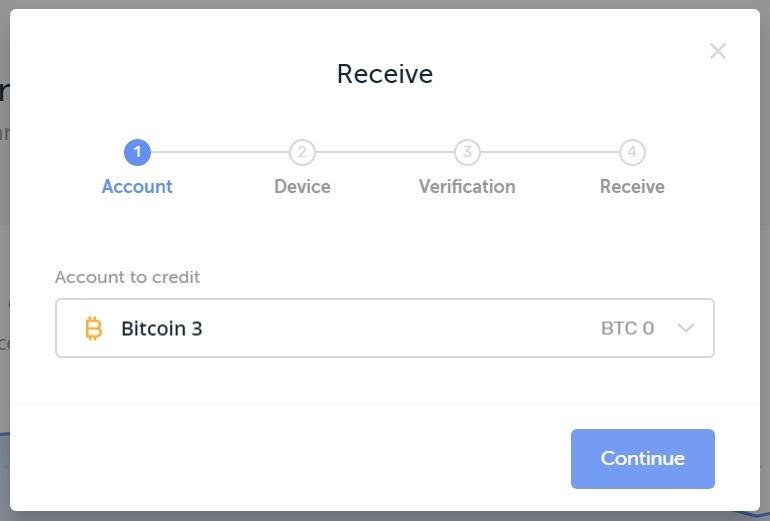 This screen will require you to open the Bitcoin app on your Ledger. Open it the same way you did before, by scrolling through your Ledger and double clicking on Bitcoin. The is the Verify screen. Click the blue Verify button. This will take you to a screen displaying your Bitcoin address, and the same address should also be displayed on your Ledger Nano screen. Check the addresses carefully. 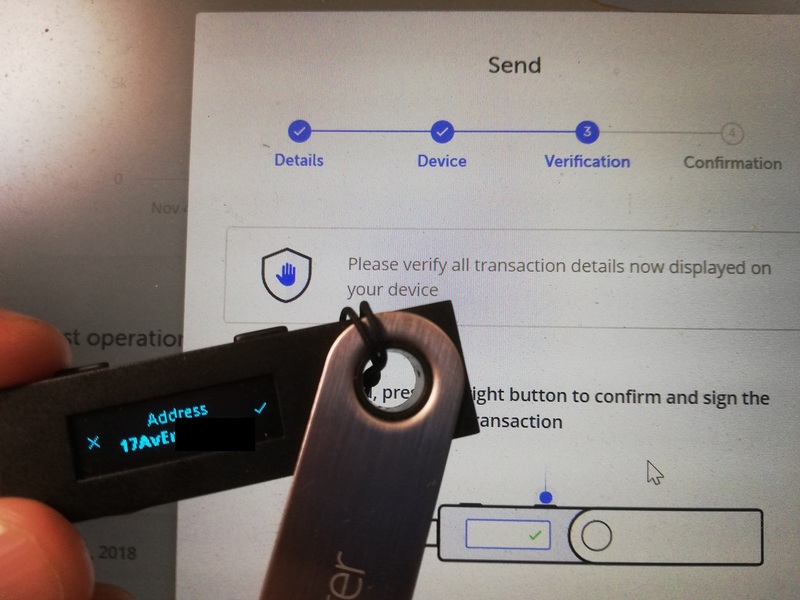 If the address on your Ledger Nano screen and the address on Ledger Live is the same, it means your wallet is synced correctly and you can proceed with your deposit. It is very important to check the addresses match. 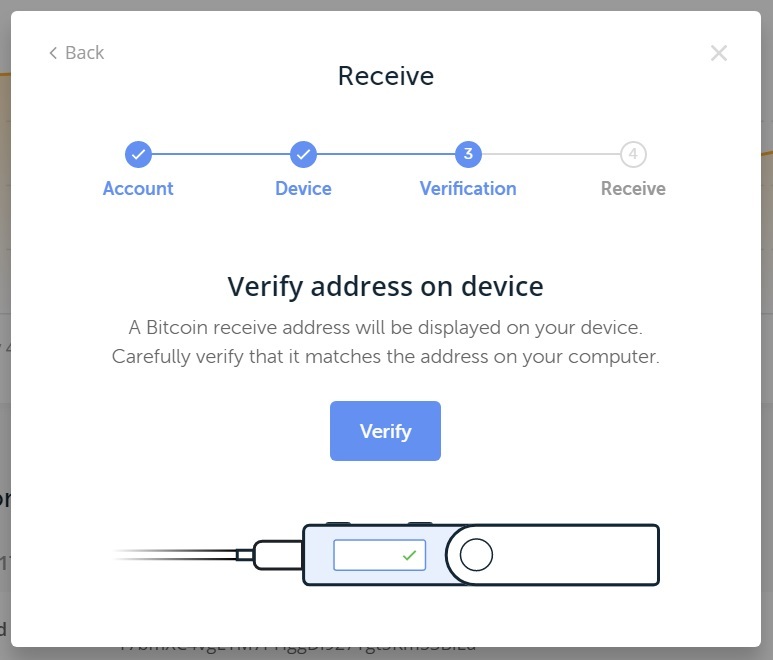 If the addresses do not match, your Ledger Nano or your Ledger Live is compromised and you should not send any Bitcoin to that address. Once you’ve verified the addresses match, you can click the Copy Address button. This is your Bitcoin wallet address. Whenever you purchase Bitcoin, this is the address you should send it to. The same goes for any withdrawals you make from exchanges, such as Binance or Independent Reserve. 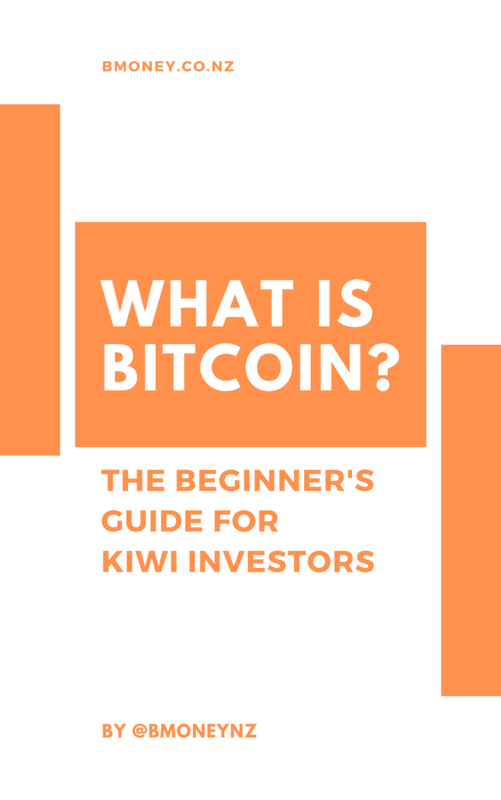 You should enter your Bitcoin address in your withdrawal form and your Bitcoin will arrive straight into your wallet. Sending Bitcoin is also done right within Ledger Live. Let’s say you want to send some Bitcoin to a cryptocurrency exchange so you can buy some altcoins. Select the wallet you want to send from in the first section. Next, enter the address. To get this, you need to request it from the person you want to send to. Copy that address and paste it into Ledger Live. Double check it. Next, enter the amount of Bitcoin you want to send. 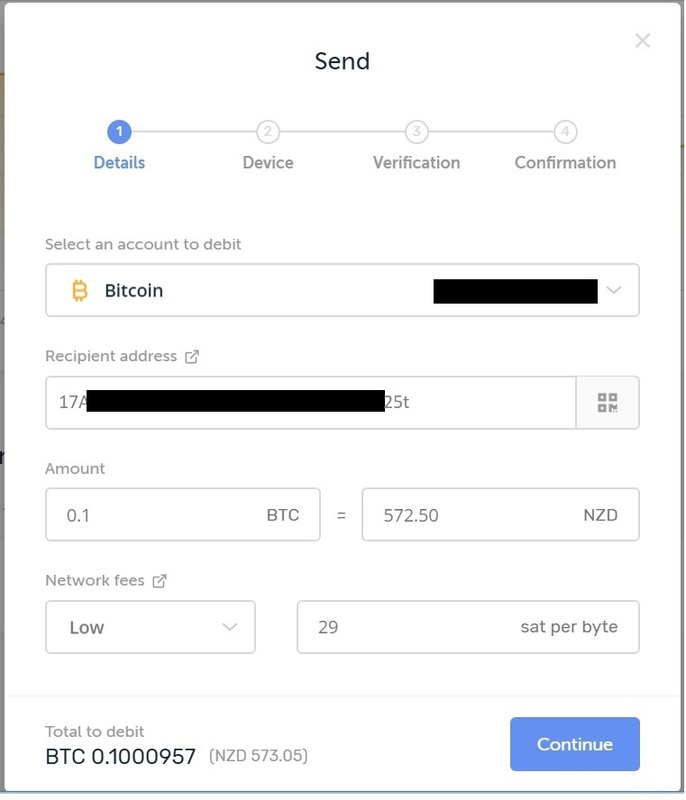 In this example I’m sending 0.1 Bitcoin, which equals $570.50 NZD. The next step is to choose your fees. You can choose between low, standard and high. Miners always process the transaction with the highest fees first, because obviously they earn the most from those. If you select Low, your transaction will take a longer time to arrive (maybe an hour) compared to if you choose High (maybe a few minutes). Usually the difference is only a few cents to a dollar, but I always choose Low since I don’t mind waiting. By looking at the total at the very bottom, we can work out that the fee is going to be 50 cents NZD. Once you’ve filled out everything, click Continue. This is going to display the transaction details on your Ledger device screen. Double check the address and the amount. If it all looks good, press the confirmation tick on your device. That’s it! Your Bitcoin has been sent. You will be given a transaction ID which you can use to track the transaction on the blockchain. One of the coolest things about the Ledger Nano is it’s not only for Bitcoin. 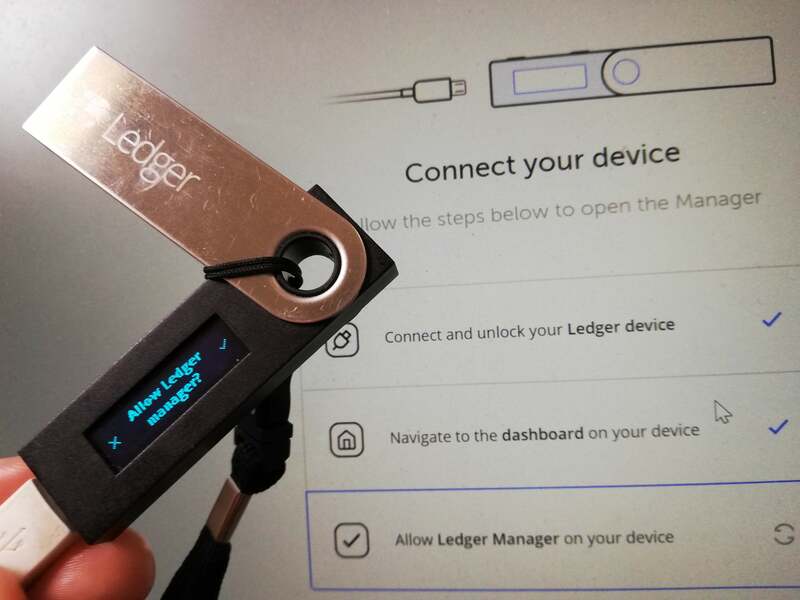 You can literally store every major cryptocurrency on it, as Ledger’s team has integrated the device with (almost) all third party wallets. That means you can generate keys for Ethereum wallets, Ripple wallets, Litecoin wallets, NEO wallets etc, all while keeping your private keys encrypted on your Ledger device. Let’s use Stellar as an example. Say you’re planning to purchase some Stellar Lumens from EasyCrypto, and you need to set up a wallet. The first thing you need to do is install the Stellar app on your Ledger Nano. We can do this exactly the same way as we installed the Bitcoin app – by finding it in the Manager and clicking Install. Once the Stellar app is installed, we need to find a Stellar wallet. For that we’ll simply go to the official Stellar Lumens wallets page on their website. 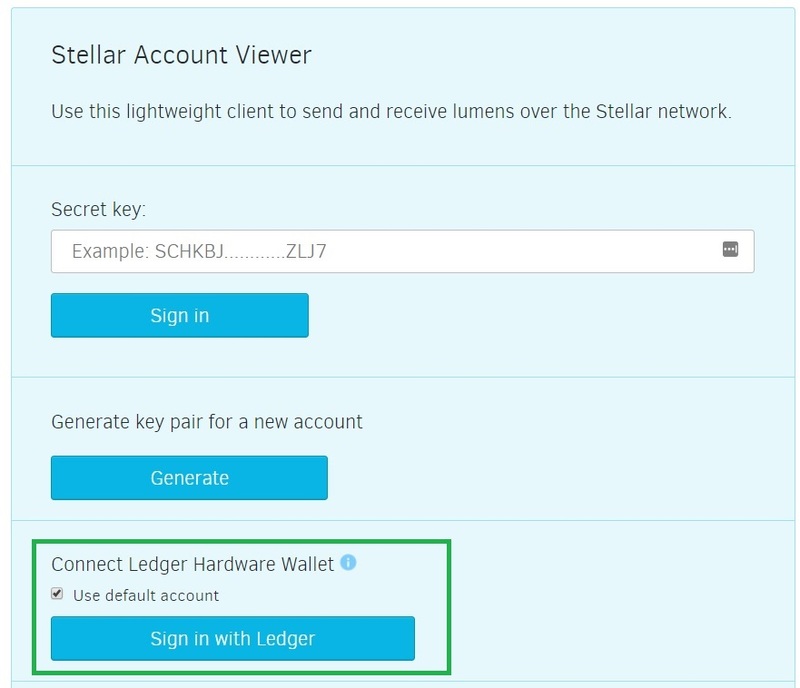 As you can see, the Stellar Account Viewer wallet is integrated with Ledger. All I need to do now is open the Stellar app on my Ledger Nano and then click Sign in with Ledger. You’ll see that this has all the normal functionality of our Bitcoin wallet in Ledger Live. We have our public address listed at the top, for when we want to deposit lumens. Also at the top is our account balance. 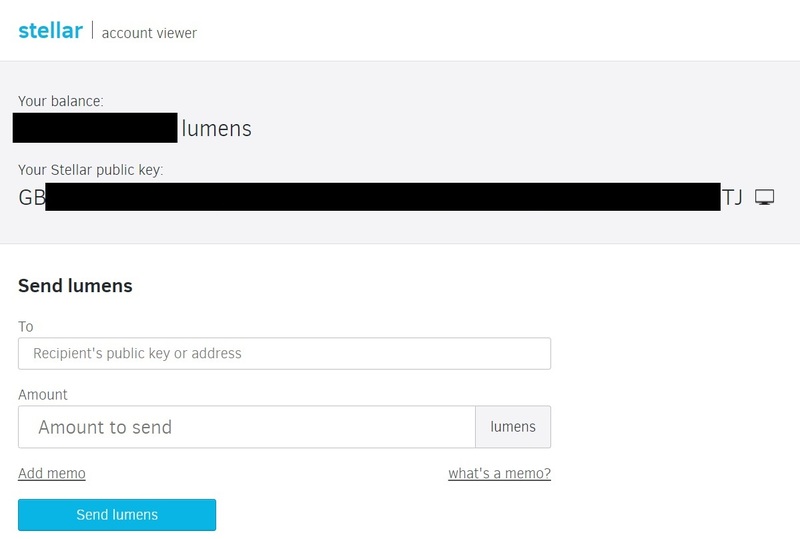 Underneath we have a sending form if we want to send lumens to someone. And of course, there’s no need to print out any private keys and store them anywhere. The private keys of the wallet are encrypted on our Ledger Nano, and protected by our pin number. 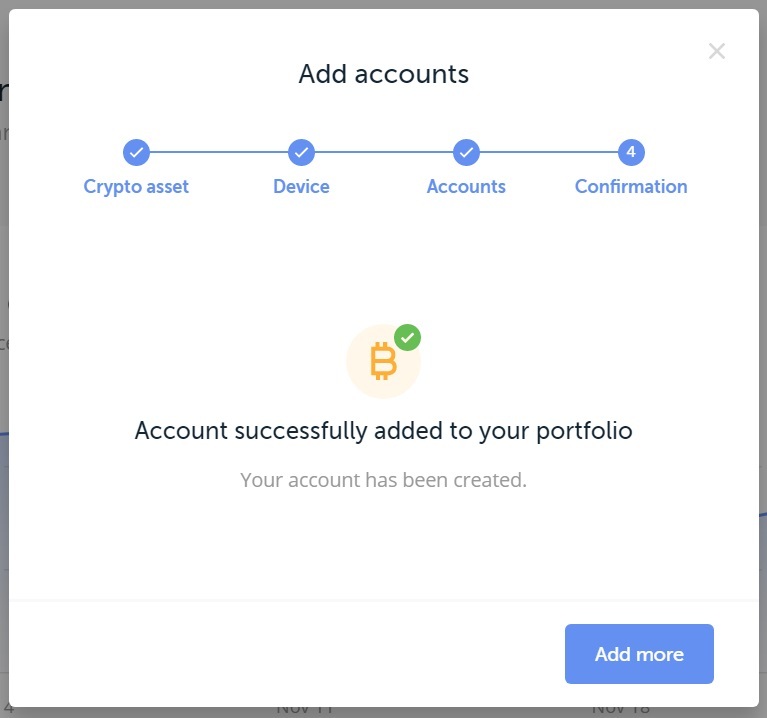 Almost all third party wallets are now integrated with Ledger devices, so whichever cryptocurrency you’re planning to add to your portfolio, you can do it safely with the a single Ledger device. Simply look for the “Ledger login” option and you should be able to generate an address within a few seconds. For the regular person, a Ledger Nano hardware wallet is the best option for storing and using your cryptocurrency. This is because most privacy measures are taken care of for you. When using a paper wallet or mobile wallet, your private keys are compromised more often because you need to type them in, or they are stored on the app or website. Sometimes people go so far as to generate a new wallet every single time they make a transaction by doing a sweep, because of the small chance that their private keys are compromised when they type it into their phone or computer. As you can see in the example above, your private key is never exposed when using a Ledger Nano, not even to you. That means your Bitcoin (or other currency) wallet is never compromised while doing transactions. It stays encrypted on your Ledger and you don’t need to worry about it being jeopardised. Not only does this save you a ton of time, it also gives you peace of mind that your holdings are safe, even if you access your holdings regularly. For $80 or so, it’s a very small price to pay to secure your portfolio. There is only one place you should buy a Ledger Nano and that is directly from Ledger themselves. Because that is the only way you can guarantee that the device has not been tampered with. There are a few Ledgers being sold on Trademe, Amazon and other computer stores, but the integrity of these devices can not be confirmed and you will not be covered by Ledger’s support system if you purchase it from a third party. That risk is not worth saving $15 or $20 or a few days in shipping time. Nice! This guide is perfect for those who are new to Ledgers and need a comprehensive, yet straight-forward explanation of how to set up and use them. Thanks for sharing this. I’ll be sure to share this across our social channels so our customers can check it out too.